Phew! It's finally over! There will be no more scenes of Kelly kidnapping, drugging, torturing and brainwashing Jack Abbott. In all my years of watching Y&R, those were some of the most sickening and distasteful scenes I've ever seen on the show. I have already ranted and expressed my dislike of the "two Jacks" storyline. I find it too far-fetched. How can a South American drug lord look exactly like Jack Abbott and have Jack's mannerisms and Jack's voice? Not only that, but wouldn't he have a Spanish accent? I realize soaps are not expected to be realistic, but give me a break! Oh yes, and why would a South American drug lord become involved in Fen Baldwin's problems with his grades at university? The fake Jack did give himself away when he referred to his brother Billy as "Billy Boy." The real Jack would never do that. That's pure Victor. Yet no one picked up on it. Victor's nerdy spy, Tobias, had his big moment in the spotlight before dying in a car crash. The drunken ex-Jabot employee showed up at the Newman-Abbott merger party with some bitter threats and accusations. We learned that he was heavily involved in the Austin/Courtney murders. Could he have been a double agent, working for both the murderer and Victor? We don't know yet because Tobias died before he could reveal the truth. However, before he expired, he tried to say Austin's name. So Ashley Abbott has come clean and admitted to Dr. Stitch that she has developed feelings for him. Of course, we viewers knew that all along. It's not surprising to us. However, Stitch 'em Up didn't have any idea how A.A. felt. Either he's not very perceptive or he's been too smitten with her daughter Abby to pay much attention to anything else. At any rate, Ashley's feelings for Stitch are not reciprocated. Maybe she'll eventually set her sights on Joe Clark instead. Then she'll have to contend with Nurse Avery, Attorney at Law. I really didn't think we'd see any more of Gwen. However, she has returned and she and Neil appear to be forming a relationship. Neil denies that he is using Gwen to get back at Devon and Hilary. He claims to genuinely like her. These days, however, I strongly question Neil's integrity. After all, hasn't he aided and abetted Vile Victor in his scheme to forge Jack's signature? Yet I don't think the Neil we've always known would get involved in such a criminal activity. Despite his faults and shortcomings, I doubt he would stoop to something that blatantly illegal. It seems contrived for storyline purposes. Somehow Neil's pairing with Gwen also seems very contrived. I can't detect any real warmth between them at all. Actually, he has more in common (and I don't mean just alcoholism) and better chemistry with Nikki. If those two ever became involved, wouldn't Victor blow a gasket? Would Neil have the nerve to betray The Big Man so brazenly? It doesn't seem that way. As for Nikki, her nightmare continues. She was so relieved that son Nick did not remarry Sharon. The grand matriarch of the Newman dynasty has always been very clear about her opinion of Sharon. In Nikki's eyes, Sharon is nothing more than a gold digger. She is low class and not worthy of the Newman name. Now to Nikki's utter dismay, her other son, Dylan, has become close to the troubled blonde. It's just another thing that's driving her to drink. What is it with Sharon and the Newman clan? She can't stay away from Victor and Nikki's offspring. Although Nick Newman has always been the love of her life, she has been involved Adam Newman, The Big Man himself (Ugh!!!!) and now Dylan. Dylan was right about one thing. He certainly has the White Knight Syndrome. He just revelled in rescuing Sharon, the eternal damsel in distress. Now that she's been rescued, what's next? Where is Ian Ward? I'm still holding out hope that he will reappear. Ray Wise plays the part so well that I am eager for him to return. He is outstanding in the role of the sleazy cult leader. Regular correspondent, CC from Etobicoke, has a beef with the show. She says that Y&R characters have too many public arguments at parties and restaurants. She also thinks there are fewer scenes at Genoa City homes than there used to be. I haven't thought about that but it seems to be true. There are plenty of embarrassing public altercations, obviously for dramatic effect. However, when those scenes occur too often, they lose some of their impact. As for homes, I've noticed that the Chancellor residence is rarely shown now. Esther has virtually disappeared since Mrs. Chancellor died and Chloe left town. I've also noticed that there doesn't seem to be a storyline for Jill and Colin. Since Charles Pratt became the head writer, they've appeared sparingly. Chelsea's apartment is shown quite often as is Sharon's house. Well fans, Nikki Newman is about to hit rock bottom. There is going to be a special episode that will focus solely on an intervention by the alcoholic Nikki's family and friends. Melody Thomas Scott, the woman who portrays the wealthy Genoa City socialite, told TV Guide that "Nikki hits the skids in a way that neither the fans or (sic) anyone in Genoa City has ever seen." "It's bad, it's low," she declared emphatically." The intense stand-alone intervention episode will air on Thursday, May 28, 2015 on CBS and Wednesday, May 27 on Global TV in Canada. I'm looking forward to it. 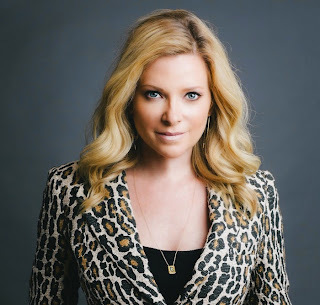 Although Kelly appears to be dead (you never know for sure with Y&R), there is no certainty that Cady McClain, the actress who portrays her, has left the show. According to Soaps.com, McClain did change her Facebook status to indicate that she was no longer employed by the show. However, when CBS Soaps in Depth tweeted the news, Cady's response was that it may have been a "technical error." Is she sending out mixed messages or just weighing her options? Perhaps she's waiting to see if Y&R has anything else to offer her. Maybe Kelly has a twin too Oops! I don't want to give the writers any ideas. 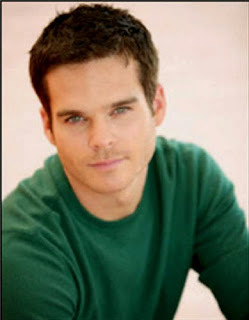 Greg Rikaart (Kevin Fisher) had a beachside wedding ceremony with his partner Robert Sudduth, a writer and actor. The ceremony took place in Maui, Hawaii. Everyone in Genoa City, except Victor, believed Kelly to be dead. Now she really has left this mortal coil. I don't know but Victor is involved somehow. I don't know. It's a mystery to me. That's all for now. Don't forget that The next edition of Y&R Report will appear in this space on Saturday, June 6, 2015.